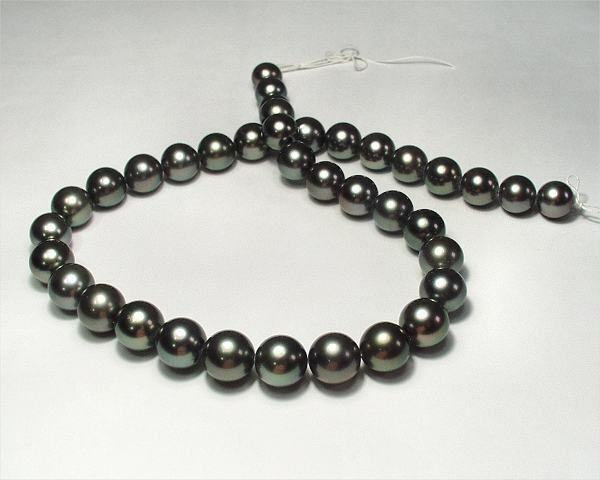 Jewellery Wholesale at SelecTraders: Selectraders is one of the leading suppliers for finest cultured pearls in the UK. 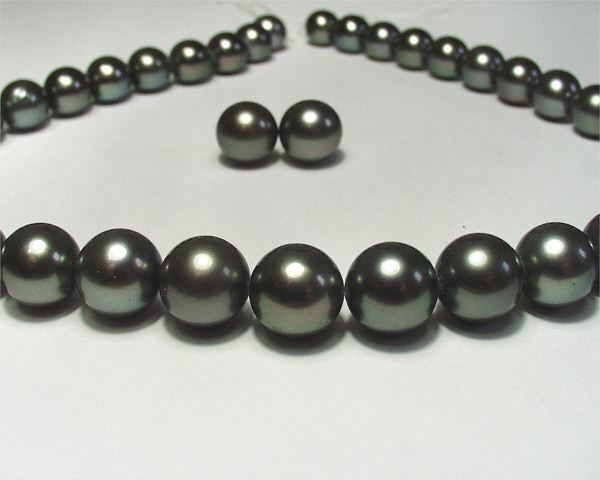 Here we have a tahitian pearl strand, consisting of 37 flawlessly black pearls in a size of 10.5 - 12.0mm. The pearls are absolutely round and have a peacock overtone. 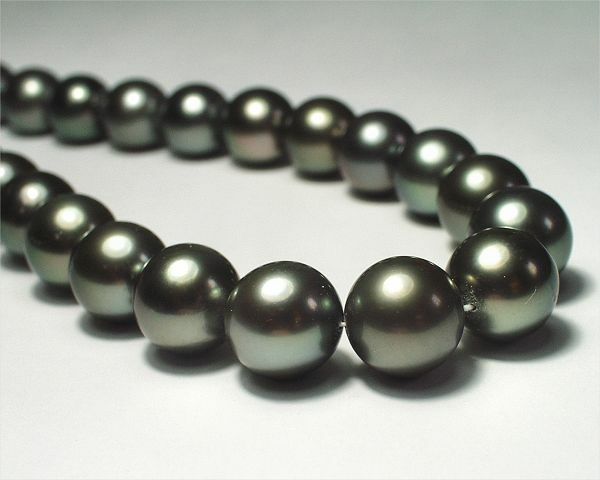 The pearl strand has a length of 16 1/2 inches, the weight is 74.70g. We offer these beautiful round pearls as a strand without a clasp, you have the possibility to choose the matching clasp at your favorite jeweller. 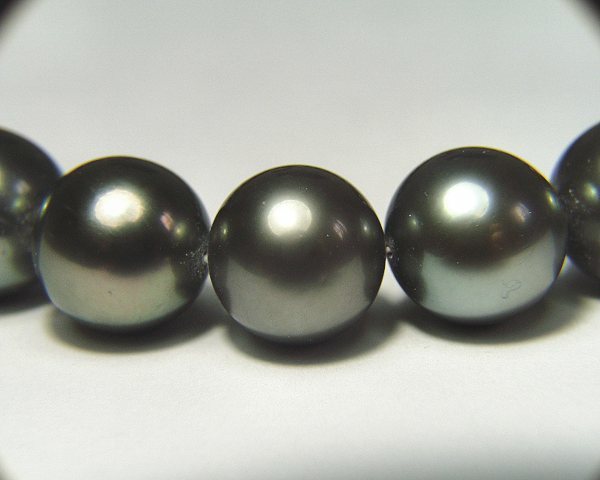 Also we send with this pearl strand 2 undrilled pearls (10mm) in the same colour and quality. So you have the chance to create your own pearl erstuds. 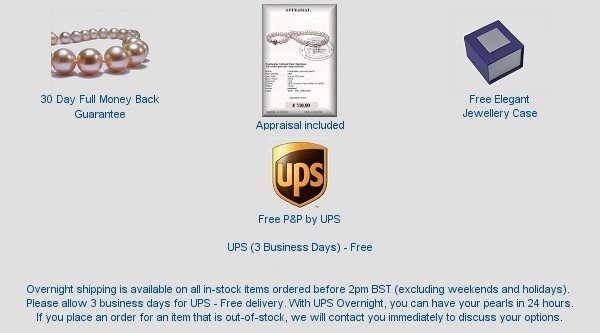 Selectraders jewellery wholesale, a really interesting resource to find the perfect jewellery for everyone. This jewellery is sold. We can manufacture a similar item upon request. 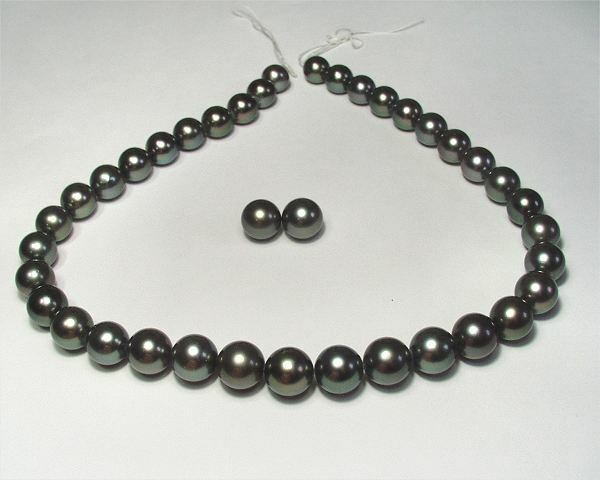 You find current offers in our category tahitian pearls.